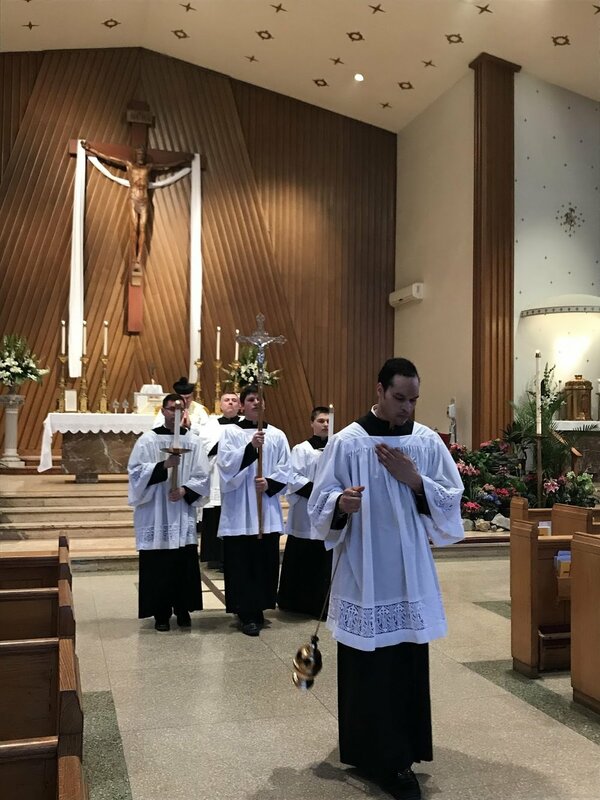 On Good Shepherd Sunday, April 15, 2018, the Knights of Columbus Woodlawn Council 2161 Traditional Latin Mass Guild hosted a Mass in honor of Blessed Emperor Karl of Austria at Saint Titus Church in Aliquippa, Pennsylvania. Fr. 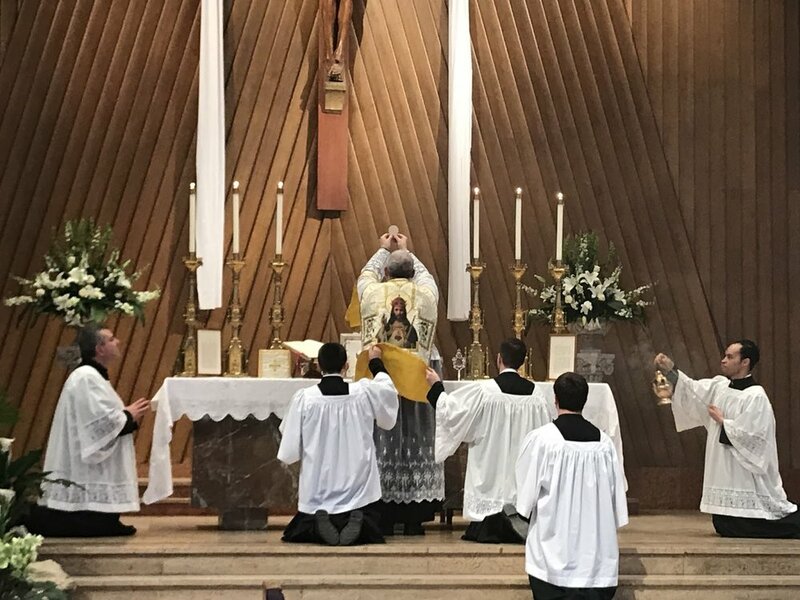 Ladis J. Cizik offered the mass and preached on Blessed Karl as an example of the Good Shepherd who is ready to lay down his life for his flock. After mass, a luncheon and conference were held in the church hall. Katherine E. Novak, Vice Chair of the Board of Directors of the William Penn Association, the largest Hungarian-American fraternal organization in the United States, presented a check to support the honoring of Blessed Karl. Sam Belli, Grand Knight of Woodlawn Council 2161, accepted the donation on behalf of Saint Titus Parish. Suzanne Pearson, Delegate of the Emperor Karl League of Prayer U.S.A. and Canada, spoke about the League's activites and upcoming events in Dallas, TX, Kansas City, MO, and Washington, DC. The featured speaker was Raymond de Souza, Delegate for International Missions for Human Life International and President of the Sacred Heart Institute. He spoke on the Sacred Heart of Jesus and Blessed Karl's historical mission to restore Christendom. Woodlawn Council 2161 is grateful to Katherine E. Novak and the William Penn Association for their continued support of and participation in the honoring of Blessed Karl. 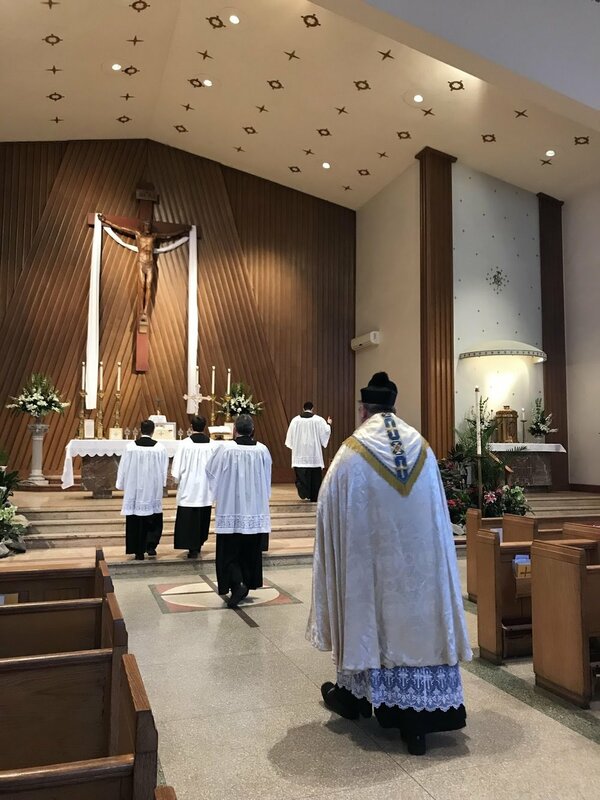 Woodlawn Council 2161 also thanks the Pittsburgh Latin Mass Community, Inc., for providing liturgical and logistical support.